Lighting and color have a serious impact on human beings as a whole. Evolution has granted us a circadian rhythm, the cycles of the day that lead to sleep and wakefulness depending on the placement and brightness of the sun. In the past, people used to wake with the sunrise and end their day with the sunset. Lack of available lighting meant there was little choice but to respond to the time of day and stop working when they couldn't see any longer. That reality gave humans a natural sleeping and waking pattern that was naturally built into their bodies. Today we have the same rhythms that our ancestors did. The difference is that we ignore it. Electricity gives us the ability to work or play at all hours of the night, regardless of the time. Industries have graveyard shifts, giving their employees the need to sleep through the day. Our children are just as effected. Teenagers are going to bed later and later. Children are spending more time indoors. Computer and smartphone screens are interrupting circadian rhythms with blue light. As a result, studies are showing that our youth might be less productive, alert and creative because they aren't getting the light based signals that they need through the day. Color is another aspect of design that has a real impact on psychology. Research has shown that certain color schemes, in addition to lighting, can lead to changes in mood. The colors in an office building, for instance, might be leading employees to be more lethargic or unhappy, while others could be promoting positivity and alertness. Younger children have the benefit of bright colors in most of their clothing and toys. Many experts believe this could lead to a boost in brain development and even creativity as they grow. Who knew color could be so important? While there is no specific plan for making the most creativity-friendly household possible, there are some general design ideas that can be incorporated into a home. Lighting is measured in Kelvins and ranges from warm colors to cool ones. The warmer colors, which contained red and yellow tones, are relaxing and comforting. Cool colors, containing blue hues, make us more alert and ready to come up with ideas and think through complex problems. Between the two are mid-range lights that can contain elements of either of the two extremes in a more gentle hue. They are better for less intensive problem solving, or promoting better communication and ease. All three of these are beneficial at different times and for different reasons. So how do you take advantage of each? One option is to use programmable lights. These are LED lightbulbs that can be changed in both color and Kelvins to match the time of day or lighting need at the moment. They are relatively inexpensive to install or the bulbs can be bought to use in lamps. If this isn't the way for you, installing lighting in certain rooms based on their usual use can be helpful. For instance, bedrooms can use warm lights to help promote relaxation. Kitchens can be brighter, as can bathrooms to help your children wake up better in the morning. Living rooms can be something mid-range. As for screens in your home, computers and smartphones can use applications that block blue light or change the overlay based on the time of day. Apple has a night mode as do some Android model phones. For those that don't, there are applications like Twilight that work the same way. For computers, try a program such as Flux. These light blockers can help your child get better sleep or wake up in the morning. A well rested, active mind is more ready to create and learn. There have been two major studies on the creative effects of colors. The first was by the University of British Columbia. They found that of all colors, it is hues of blue that are most effective in this regard. Color therapy has touted blue as one of the best options for many purposes for years, so this isn't surprising. What was a little more interesting was the University of Munich, which discovered that green was equally as useful for creativity. Both also promote a sense of calm and comfort in any space, making it ideal for a child's bedroom. However, these are not the only colors that can spark a creative mind. Cool colors are more calming and better for large portions of color schemes. But they can become a little boring over time and might not get the overall effect you are looking for. On the other hand, brighter, warmer colors are quick to overwhelm if you use too much of them at once. Red, for example, is great for creating a sense of energy and readiness. But too much can make you feel uncomfortable or aggressive. Yellow and orange have similar effects. A better way to add these colors is to use them sparingly to help enhance the softer colors, like putting a bit of yellow in with the blue, or some orange with the green. In a design or a picture, such colors can be painted or used for accessory purposes. You may even just choose lighting that brings in a similar effect, like the reddish undertones of warm lighting. You may be amazed at just how intense the changes can be when you focus on these simple design elements in your home. 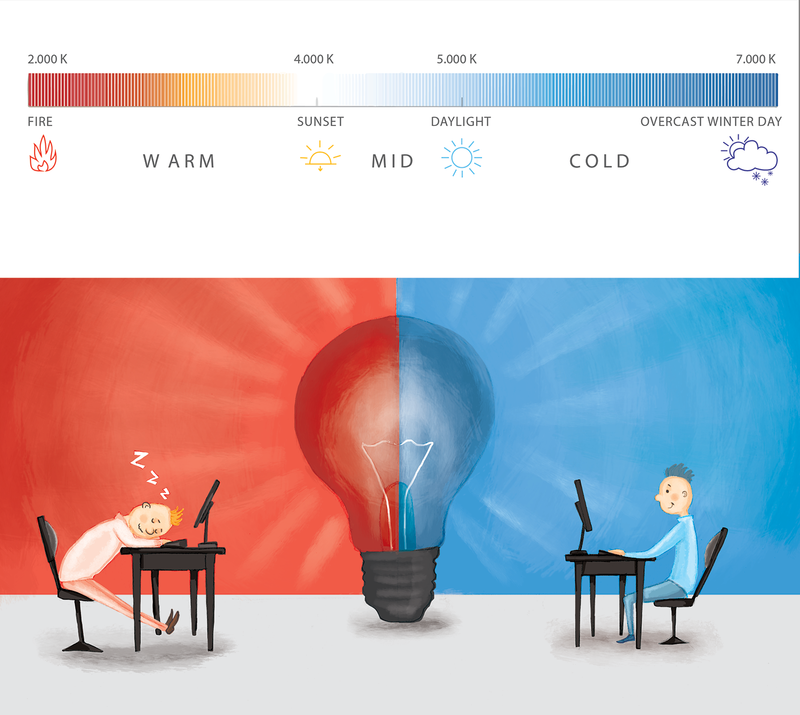 But ongoing studies and the data seem clear: lighting and color have a lot to do with how we behave, feel, think, sleep and go about our daily lives. If you are wanting to raise creative, intelligent children you should be giving them every possible chance. Even if your only real change is to enhance the environment where they live. They can do the rest.